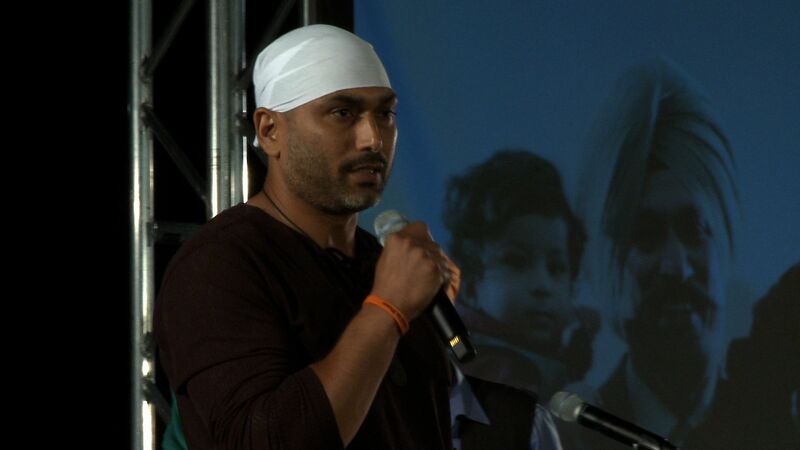 Pardeep Kaleka, above, is featured in Not In Our Town documentary, Waking in Oak Creek. Kaleka's father was one of six victims in the hate crime shooting at the Sikh Temple of Wisconsin in 2012. On Nov. 1, Kaleka joins Yuba City's annual Sikh parade and special screening. As part of its 35th Annual Sikh Parade on Nov. 1, Yuba City, CA will host a special screening of Not In Our Town documentary Waking in Oak Creek, which profiles a suburban town rocked by hate after six worshippers at a Sikh Temple are killed by a white supremacist. In the year following the attack, the film highlights a community and law enforcement working together to overcome tragedy, stand up to hate, and create a safe town for all. The theme of this year's Annual Sikh Parade in Yuba City is "Honoring our Differences and Celebrating our Common Humanity." At the screening, local civic leaders and law enforcement officials will discuss how Yuba City can take further steps to promote an inclusive community. Speakers include special guest Pardeep Kaleka, a teacher whose father was killed during the Oak Creek attack, along with County Supervisor Jim Whiteaker, Yuba City and Marysvillle Councilmen, and representatives from the Yuba City Police and Sheriff's Departments. To bring Waking in Oak Creek into your community, request a free screening DVD here and check out the organizer's Facebook page at I Am A Global Peacemaker.